According to reports out of Hollywood, Gran Turismo is the latest video game series slated to be adapted into a big-budget movie. Yes, THAT Gran Turismo. Bet you didn't see this one coming. Entertainment site The Wrap reports that Sony has big plans to compete with the Fast and Furious and upcoming Need for Speed franchises by adapting the PlayStation racing series for film. They have signed on the two producers who are currently working on the Fifty Shades of Grey movie. Obviously, we can expect a Gran Turismo film to have all the intricate plotting, memorable characters, political intrigue and intense dialogue we have come to expect from the games. Oh wait, no, I was thinking of Metal Gear Solid. How exactly do you make a Gran Turismo movie, anyway? My hope is that if this gets made — and I'm still skeptical — they will keep the focus on motorsports and not turn it into some goofy car thief/street racing thing. Do it right, and this could be something along the lines of Ron Howard's Rush. 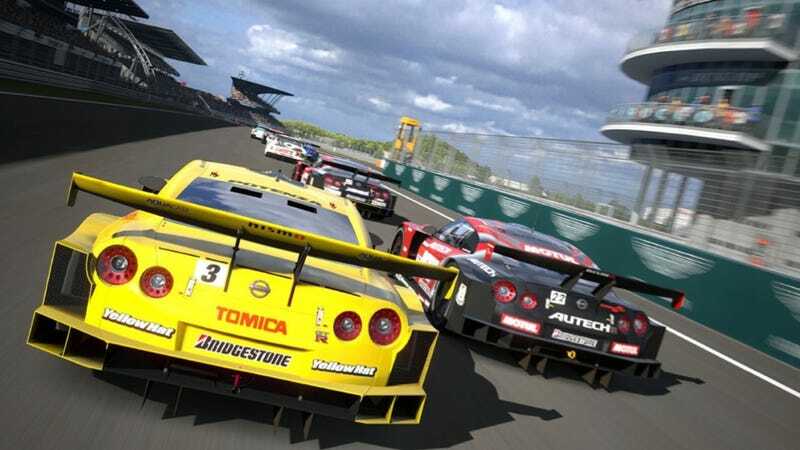 Do it wrong, and... well, did we mention Gran Turismo 6 might be coming out this year?